Anyway, here is one of my favorite appetizers to make. While I personally don't like actual buffalo wings (there's something I don't like about meat on the bone), I LOVE anything with buffalo wing flavor. 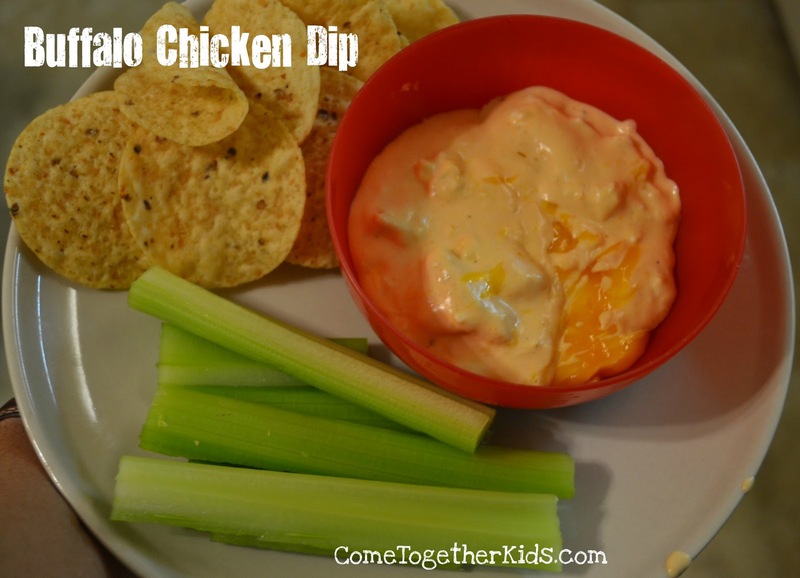 This dip is easy to make and really yummy. I adapted the recipe slightly from THIS one I found on allrecipes.com. 1. Heat the cooked chicken and hot sauce in a large skillet over medium heat until heated through. I think this step is the key to a yummy dip since the chicken pieces absorb a lot of the hot sauce flavor! 2. Add the two softened bricks of cream cheese and the cup of ranch dressing. Then stir until combined. 3. Add half of the shredded cheddar cheese and stir again until combined. 4. At this point, I usually transfer the dip to my crockpot and top with the remaining shredded cheese. I'll keep it on low or warm and just scoop out some as I want it. I like how the crockpot will keep it nice and warm and ready to eat throughout the game. However, you could also just transfer it to a baking dish, top with the extra cheese, pop it in the oven to melt and then serve it immediately. let's hope this year we can get our 7th Lombardi Trophy! The Come Together Kids' crew at Heinz Field! 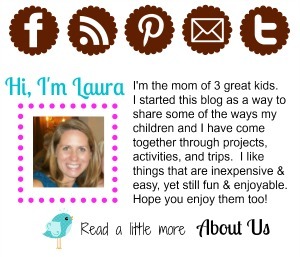 I just found your blog and enjoy very much. 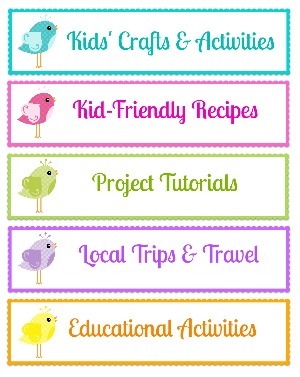 It has such great ideas for things to do with my little one. Also, I had to comment on the football thing. We too are transplants from Steelers’ Nation plopped down in Baltimore. The animosity is palpable at times. I love reading the newspaper articles and seeing how often the Steelers are mentioned every week. A few months ago an article claimed that Roethlisberger got married two weeks prior to Flacco just so he could try and steel some of his thunder. It is always amusing. 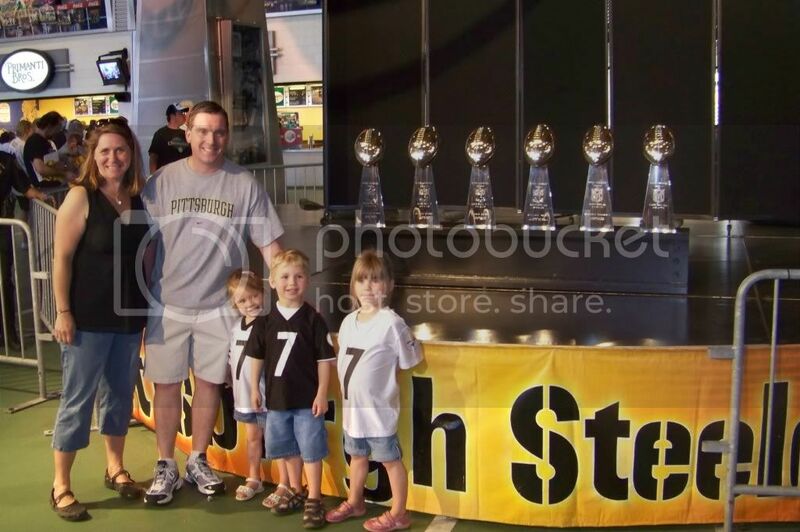 I am always surprised that I do see my fair share of Steelers’ fans proudly out in their black and gold. In my opinion, this definitely seems like a rivalry brewed by the Ravens because in all my years of being a Steelers fan in Pittsburgh the Ravens never came up as “our rival”. It always used to be the Browns. Now we play the Ravens just about every year 3 times a year with the playoffs and generally nock them out of the running so maybe that has something to do with it. And now this year with practically a whole new team the sports broadcasters are really playing up the rivalry angle. It ought to be an interesting game tonight! ;) Here’s to number 7. You can also make this is the crock pot! This sounds so delicious! I can't wait to try it! oh my gosh, must try this! I just got excited thinking you maybe lived in Pittsburgh. I am now snooping and seeing that I think you were just visiting. I am in Pittsburgh for 1.5 more years. If you do live here we should get together for a craft!!! For those that are dairy free...use soaked and pureed cashews! I've made a variation of this...and it's delicious. looks yummy! adding it to my recipe list of "must try"! Great After setup it will certainly take a while to boot up 9apps download It has even more popularity will certainly additionally expand fine. good Google regularly. And also here exists the issue although Google Play Store Download Mounting the Google Play Store there are two major nice. Mozilla Firefox as your web browser.After you are inside the portal liteblue.usps.gov epayroll shown inside the website if you have setup a LiteBlue login on the system. Tu blog es muy interesante, fascinante y más útil. No hay nada bueno en encontrar información de calidad. Realmente puedo decir que este es uno de los mejores. Por favor sigue compartiendo. Growth of the program has been brisk since June. It the most robust set of benefits we had in any launch on day one and obviously we doubling down with further investments across shipping, shopping and entertainment. Ghani funny mom shirts said customers to join for the shipping but we like to obama shirt say they stay sloth shirt for the entertainment me Prime Music is an exciting addition to the portfolio, we see that as one of the benefits that most customers engage with globally, and I expect that will be no different in Australia, he said.